BMW claims the 2016 M5 Competition Edition is the most powerful version of the M5 currently available on the market. The 2016 BMW M5 Competition Edition builds off the features available on the 575 horsepower M5 with the Competition package. A total of 200 units will be manufactured, 100 in white and 100 in black. All models will include a plaque with a number denoting its order in the manufacturing process. The package includes a stiffened and lowered suspension, a specially programmed active rear differential, more direct steering, and a re-tuned stability-control system. The M5 Competition Edition features a unique set of black alloy wheels, wrapped with 265/35R20 rubber up front and 295/30R20 rubber out back. The exterior is highlighted by carbon fiber trim pieces and is only available in two metallic colors: Mineral White and Carbon Black. 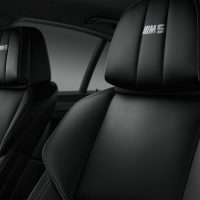 Inside, the BMW M5 Competition Edition features a black and white color scheme, along with unique stitching on the performance seats. Bang & Olufsen stereo system, heads-up display, and lane keep assist (optional on the normal M5), are standard on the Competition Edition. The 2016 BMW M5 Competition Edition is powered by a re-tuned 4.4 L twin-turbo V8 with 600 horsepower and 516 lb-ft torque (an increase of 40 horsepower and 16 lb-ft torque over the standard M5). 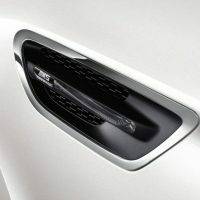 The engine is paired exclusively to a seven-speed dual-clutch automatic transmission and sends power to the rear wheels. BMW estimates the M5 Competition Edition will sprint to 60 mph in just 3.9 seconds. In Europe, the 2016 BMW M5 Competition Edition retails for 129,500 euros, or approximately $145,000. 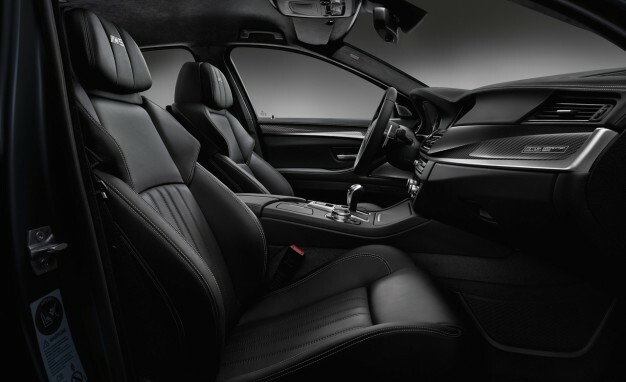 Compared to the standard M5, the Competition Edition commands a premium of 25,200 euros. 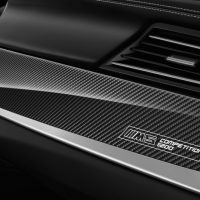 However, a similarly equipped euro-spec M5 reduces the price gap to just 8,000 euros – which is a reasonable premium for an ultra-rare and possibly final edition of the current F10 generation M5. The 2016 BMW M5 Competition Edition will not be sold in the United States. 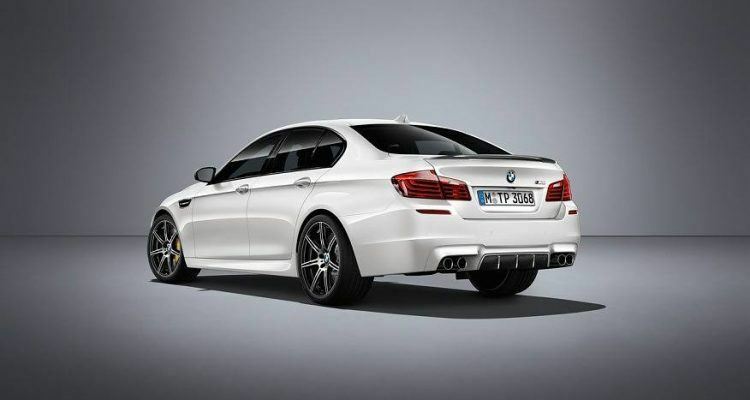 Instead, Americans will get the 2016 BMW M5 Pure Metal Silver Limited Edition with identical performance specs. No Comments on "First Look: 2016 BMW M5 Competition Edition (Euro-Spec)"